The 2019 Kansas City mayoral election will take place on June 18, 2019, to elect the next Mayor of Kansas City, Missouri. The election will be held concurrently with various other local elections, and is officially nonpartisan. Incumbent mayor Sly James, in office since 2011, is term-limited and cannot seek the office again. In the nonpartisan primary held on April 2, 2019, city council members Jolie Justus and Quinton Lucas were the top-two vote winners and will face off in the general election on June 18, 2019. The filing deadline is January 8. ^ Abouhalkah, Yael T. (May 27, 2015). "Let's skip ahead and peek at Kansas City's 2019 mayoral race". The Kansas City Star. Retrieved June 25, 2018. ^ "Kansas City Mayor - Primary". Our Campaigns. Retrieved June 25, 2018. ^ Kite, Allison; Vockrodt, Steve; Marson, Andy (April 2, 2019). "Council members Justus, Lucas win Kansas City mayoral primary, will face off in June". The Kansas City Star. Kansas City, Missouri. Retrieved April 3, 2019. ^ a b c d e f g h i j Rodriguez, Lisa (June 6, 2018). "Here's Who's Running For Mayor Of Kansas City, Missouri, In 2019 — So Far". KCUR. Retrieved June 25, 2018. ^ a b c d e Kite, Allison (January 16, 2019). "List of Kansas City candidates for council, mayor preview a very different City Hall". The Kansas City Star. Retrieved January 17, 2019. ^ a b Telep, Nicolas (June 25, 2018). "Jason Kander Confirms Run For Kansas City Mayor, Justus Out". KCUR. Retrieved June 25, 2018. ^ "A personal note from Jason Kander". JasonKander.com. October 2, 2018. Retrieved October 2, 2018. ^ Gutierrez, Andres (October 3, 2018). "Jason Kander campaign will refund campaign contributions". KSHB. Retrieved January 17, 2019. ^ a b c d e f g h i j "Endorsements". JustusForKC.com. Retrieved January 17, 2019. ^ a b c d e f "Jason Kander to Run for Mayor of Kansas City" (PDF). JasonKander.com. June 25, 2018. Retrieved June 25, 2018. ^ "Results of SurveyUSA Election Poll #24638" (PDF). www.kansascity.com. March 15, 2019. Retrieved March 18, 2019. ^ a b "Independent poll shows KC's mayoral race wide open". KMBC. February 22, 2019. Retrieved March 18, 2019. 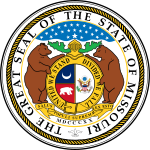 ^ "Kansas City Primary Election Results 2019". KCUR. April 2, 2019. Retrieved April 3, 2019.